Erin Condren 2015 Life Planner: What Makes This Planner So Popular? As a mom of 5 kids who also volunteers and runs a mom resource site, I live and die by my planner. 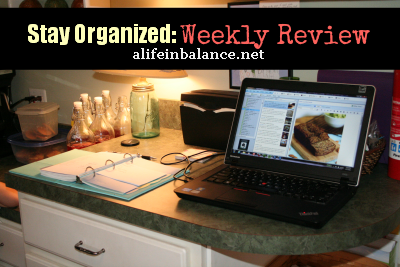 Life is much better when I’m organized. It just is. This year, I’m planning in full color with the Erin Condren Life Planner. All the colors make this color-loving mom SO HAPPY. All the opinions expressed in this post are my own. I bought the Erin Condren Life Planner with my own funds. When I came home full-time to be with the kids, I switched to using a paper planner. It was so much easier to write a note quickly when someone was crying or had dumped the cat food all over the floor, or worse. A few years ago, I started using electronic planners again when I got a smartphone. I loved carrying my calendar with me in my purse without the bulk of a paper calendar. But, I missed the visual access of a paper planner. And, sometimes, I messed up entering appointments on the go on my Google calendar. For a few years, I’ve been using the Daily Action Planner from Life Your Way and the Daily Docket from Simple Mom. I love both formats, though I don’t like the 8.5 x 11 size. I’m continuing to use the Daily Action Planner this year with modifications for my blogging. I decided I wanted to go with a smaller paper planner for 2015, one that I could bring with me when going to doctor’s appointments. The colorful Erin Condren Life planner at 7.25 x 9.25 seemed like a good choice. Just big enough for writing everything and just small enough to be portable. I’ve been using my Erin Condren Life Planner since it arrived on Tuesday. Check out my unboxing video to see what came in my Erin Condren package. The size. It’s just big enough for my writing and just small enough to bring with me. The weekly layout is broken down into 3 sections – Morning, Day and Evening. I’m using the morning for daily tasks. Day and Evening are for timed events and my dinner menu plan. The pens (extra accessories) I ordered. I like the feel of writing with them, and the tips are small enough to write neatly and clearly in the planner. Note pages at the back for a Master Brain Dump. Sealed clear pocket for carrying notes, stamps, and pens. Though I worry the pocket might become a little bulky with pens. Someone with large handwriting will find the space in the Life Planner a bit cramped. I thought I would like the clear ruler to mark the current week, but it got in my way. I ended up putting the ruler on the front of the planner and using one of my Erin Condren gold bands to mark the current week. I wish I had more room for tracking my workouts, water intake, and food. I feel the same way about the menu plan, and daily tasks. I ended up ordering the snap-in menu planner and task list and the wellness journal. Fedex Home Delivery. Fedex took almost 2 weeks to deliver my planner instead of the promised 3 to 5 days. My CPA is also a CFP but he doesn’t practice so he wasn’t really helpful once i asked specific queries about my old age savings.